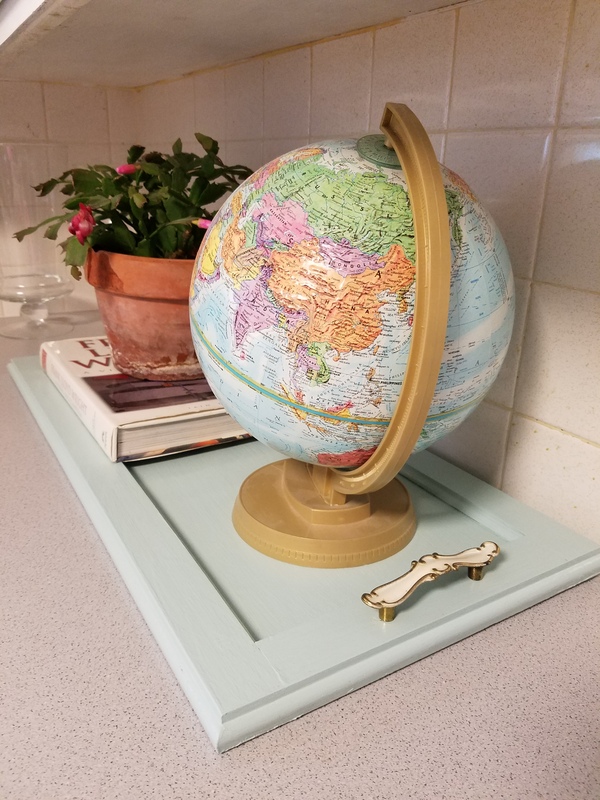 Some of my favorite projects and home decor are things that create unexpected design. I love to walk the aisles of thrift stores or estate sales and scour things I can repurpose. 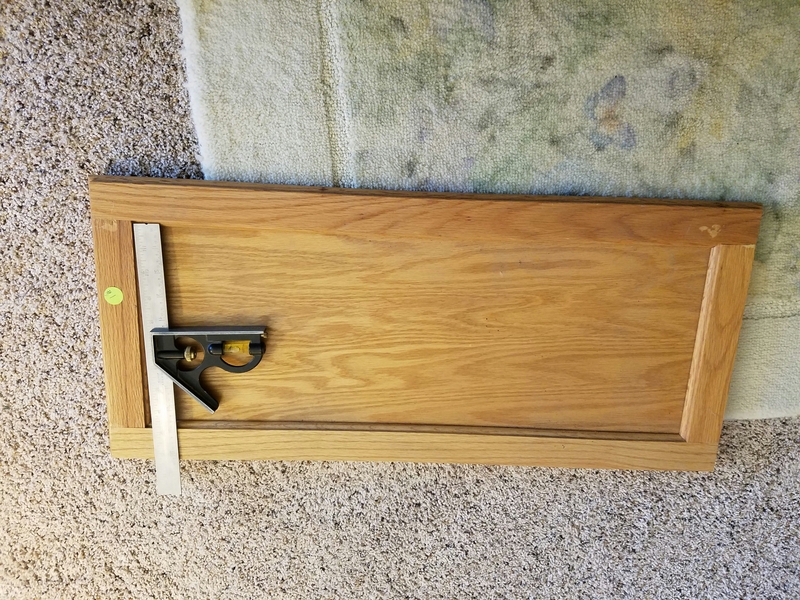 My latest find: a $1 cabinet door. This cabinet door was solid wood and in great shape. This shaker style had no cabinet hardware. It was just a lonely cabinet door, most likely leftover from a remodel. 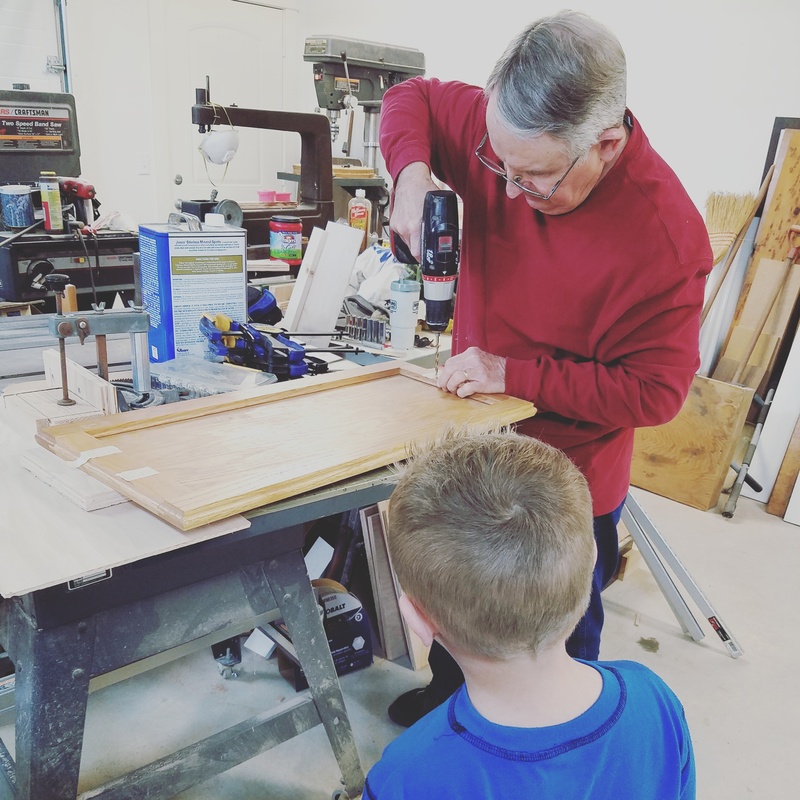 I started by begging my uncle to help drill holes in the cabinet door. I could have done this myself, but he is a wood worker and I knew he’d get the holes perfectly even. 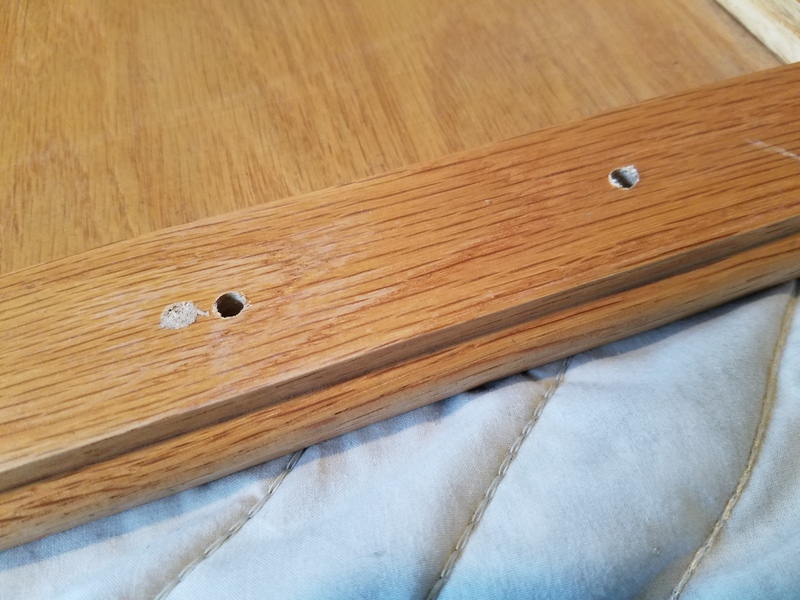 He drilled two holes on each end–for cabinet pulls. The hole on the left that is discolored is our “mess up” hole. Hey, we’re not perfect. But my uncle did teach me a neat trick to fill mess up holes. He mixed wood glue and fine wood shavings from his shop. He used a flat head screwdriver to press down in the hole. Once it was dried, it easily sanded. I had some leftover Sea Sprite paint–it might look familiar. I used it on my DIY Postcard Display. 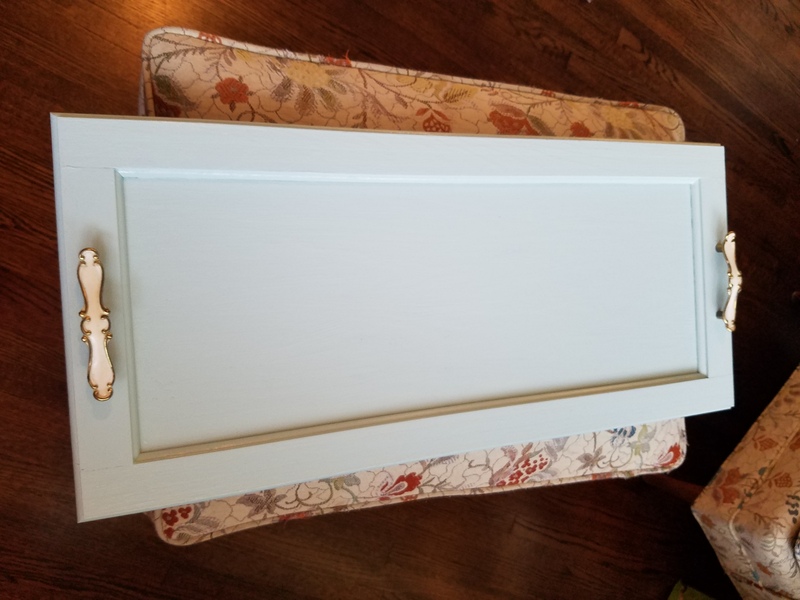 I gave the cabinet door a good coat of paint on both sides. Once it’s painted and dried, most of the work is done! 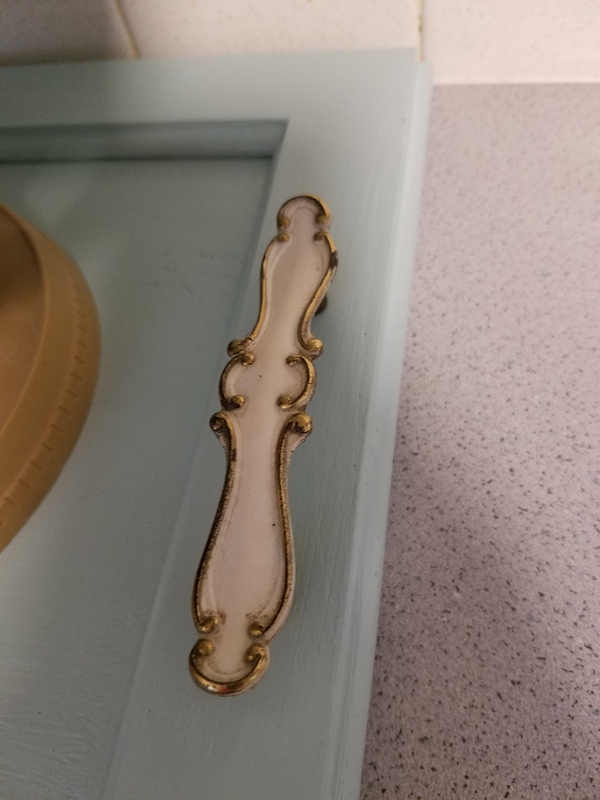 I had some leftover provincial cabinet pulls from a dresser I redid. I salvaged these for a future project. 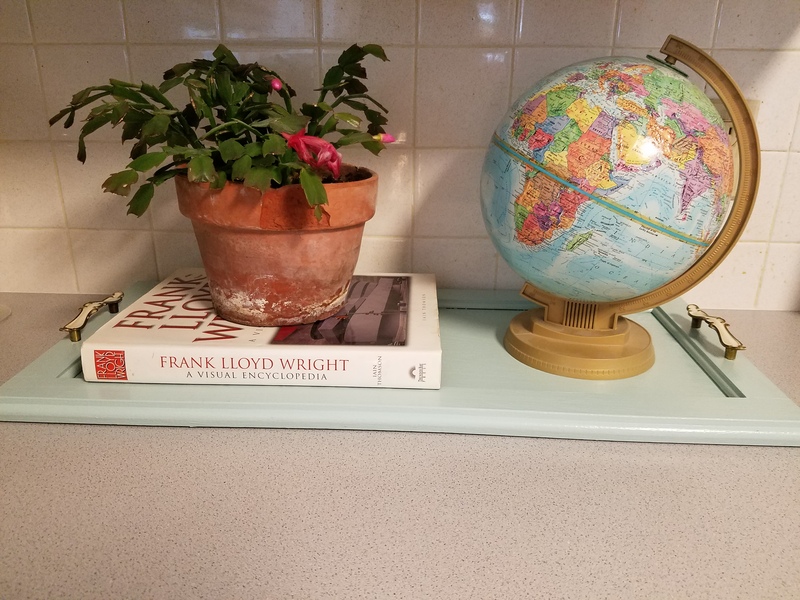 They were the perfect accent to this tray! Once the hardware was added, it was adorable! 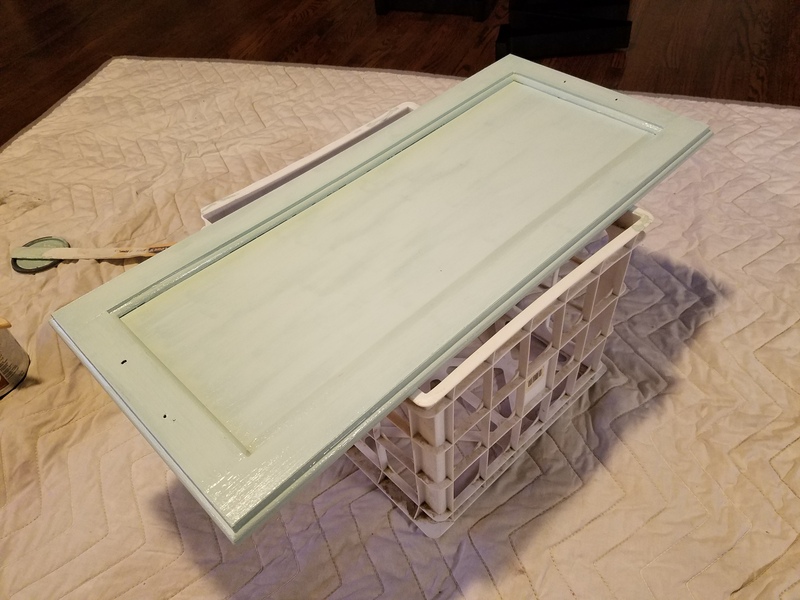 It looks more like a tray for decor than a cabinet door now! For a grand total of $1! I think this tray would make great coffee table or sofa table decor. But since I’m still living in a semi-construction zone, it’ll have to do in the kitchen for now. I added a few accents, and it looks great! Just about any cabinet door will work for this project, but I do think the shaker style is best with the recessed middle. 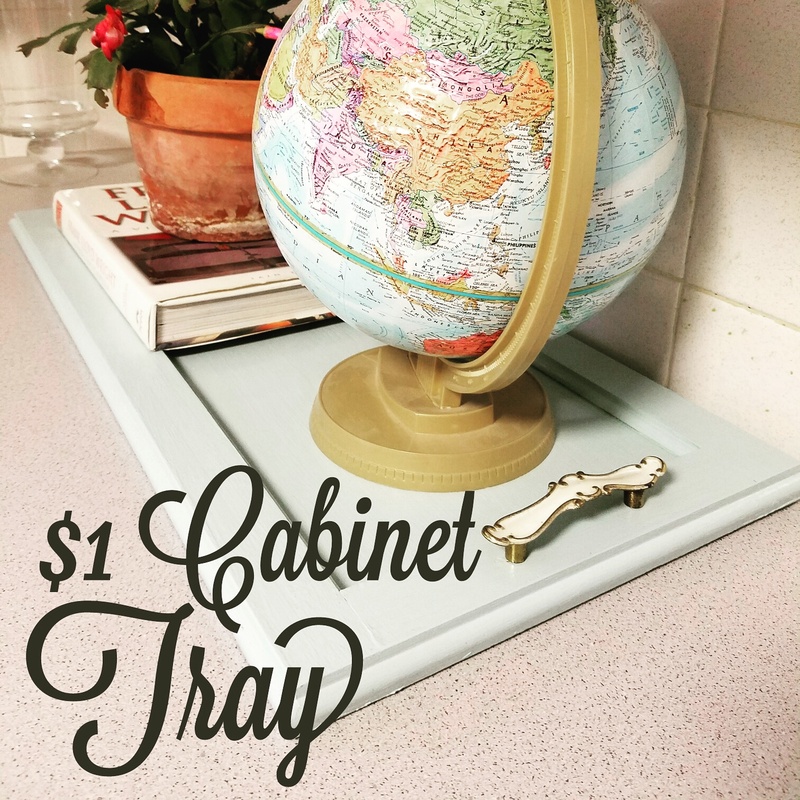 If you’re looking for really unique cabinet pulls to accent your own DIY tray, check out my vintage glass ones in my online vintage-inspired boutique, Mac’s Attic. Looks lovely! Such a great idea!